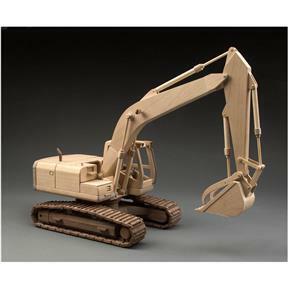 Build your own Excavator with these new plans! Toys & Joys is a plan and pattern company that provides full sized drawings (18"x24") for making detailed wooden models and toys. Their plans are excellent and fun for both the beginner and advanced woodworker. Please note that only the plans are included; see T27907 for the detail kit. Note: Due to their nature, plans are non-returnable. Defective plans will be replaced. 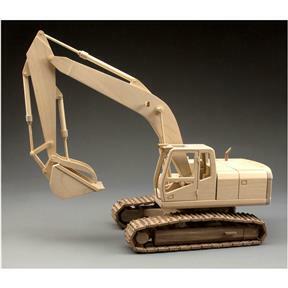 Build your own Excavator with these new plans! Toys & Joys is a plan and pattern company that provides full sized drawings (18"x24") for making detailed wooden models and toys. Their plans are excellent and fun for both the beginner and advanced woodworker. Please note that only the plans are included; see T27907 for the detail kit.